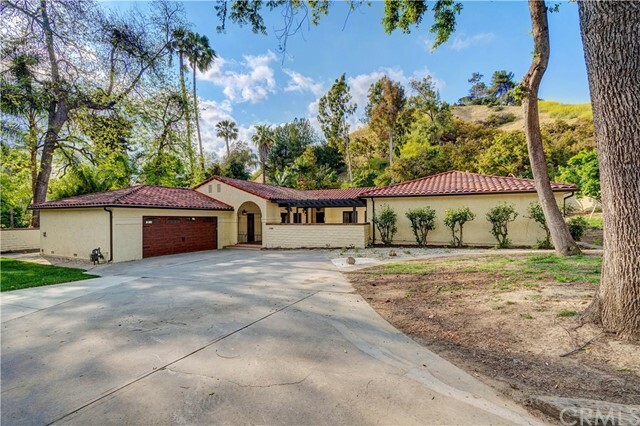 All La Habra Heights homes currently listed for sale in La Habra Heights as of 04/21/2019 are shown below. You can change the search criteria at any time by pressing the 'Change Search' button below. 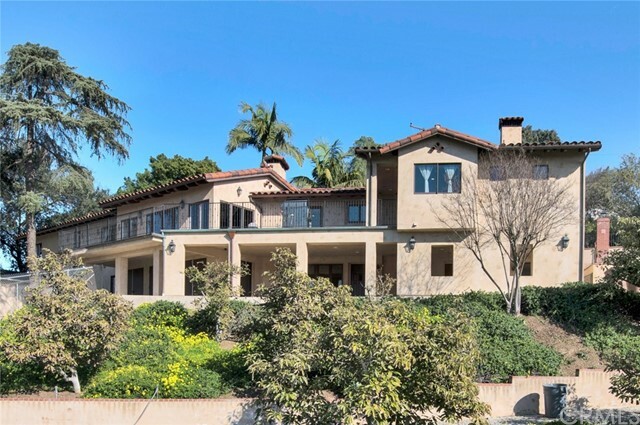 If you have any questions or you would like more information about any La Habra Heights homes for sale or other La Habra Heights real estate, please contact us and one of our knowledgeable La Habra Heights REALTORS® would be pleased to assist you. 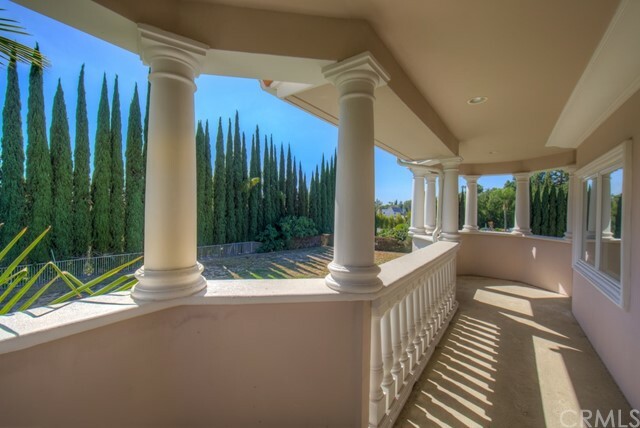 "Magnificent luxury resort estate in La Habra Heights is a European inspired masterpiece. Built with no expense spared this home features hand painted ceilings and walls, hand carved moldings, crystal chandeliers, custom carpets, and draperies. Other home amenities include home theater, casino room, wine cellar, library/study, multiple fireplaces and cozy areas to relax. The pool house features wall of glass so you are looking underwater into the pool complete with a sauna room. Resort quality grounds for the entertainer s paradise. Fountains, waterfalls, water slide with ring of fire, grotto, cave, swim to bar, full outside kitchen with sports bar, volley ball court and much much more. Easy way to view the property is by searching on Google for the virtual tour using the address." 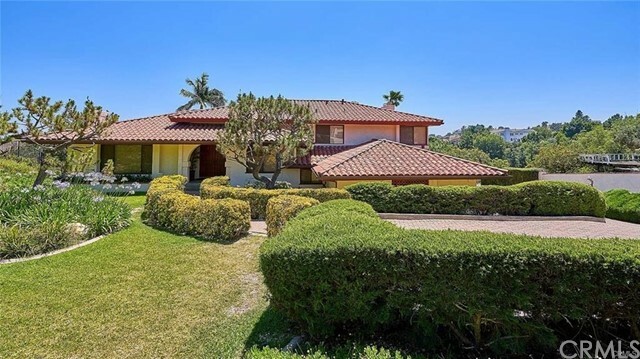 "This magnificent Spanish designed La Habra Heights home built in 1986 has a long gated driveway to an impressive main entrance to the house and lovely views of Orange County, Disneyland Fireworks, Catalina and Los Angeles. A grand living room includes a fireplace, step down bar with seating and French doors to the veranda/balcony overlooking the pool/spa, lush garden and city views. The formal dining room has vaulted ceilings, impressive original murals and a custom Bruce Eichler chandelier. The large Gourmet kitchen is amazing with a large iron pot rack/lighting by Bruce Eichler, 2 Viking gas stovetops,3 Viking ovens, 2 Miele dishwashers, Traulsen refrigerators and freezer, a large maple butcher block island, a walk-in pantry and a cozy breakfast nook. It offers approx. 8,901 sq. ft. of living space, six bedrooms (two being used for offices) & nine bathrooms. A large master suite has vaulted ceilings with 2 large his & hers bathrooms, sauna, walk-in closets and a veranda. Other amenities include a wine cellar, outdoor kitchen and dining, a pizza oven, Koi pond, gazebo, fountains, pool/spa, four car garage and abundant storage. Lot size of approx. 1.66 Acres. Also includes a herb garden, vegetable garden and a wide variety of fruit trees." "A magical property unlike anything else available in the area, this authentic Spanish tennis court estate of grand proportions is sited on almost two acres of lush grounds with a gated entrance, circular motor court, four car garage, carriage house, two bedroom guest house, rose garden, koi pond, fountain, swimmers pool, a stone well and arch with bell and a running stream water feature. The residence itself features an abundance of well preserved details throughout, including original doors, windows, hardware, immaculate tile work, light fixtures and so much more. There have also been various upgrades in the home necessary for today's living, including a newer open kitchen with center island and SubZero refrigerator. An ideal estate for the true preservationist." 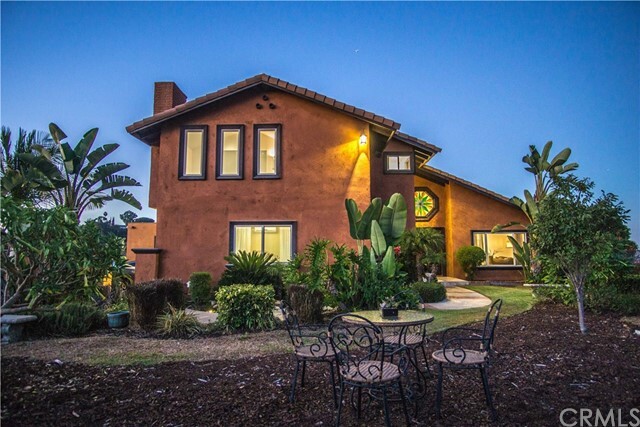 "Incredible custom Mediterranean home located in a special community (La Habra Heights). Built in 2007, situated on over 1 acre, this perfect floor plan offers room to live comfortably & enjoy the many OUTSTANDING AMENITIES with amazing views of sunset and city lights. The home boasts approximately 8,000 SqFt of luxury living with separate guest house, 5 BR each with its own private bathroom, built-in horse barn and huge basement (can be converted to a wine cellar). The elegant foyer welcomes you with floating wrought iron staircase, elegant formal dining room, living room with French doors and fireplace, exec office with built-in library and a family room that offers the perfect place to relax with French doors and fireplace. Well-equipped chef s kitchen island with wine refrigerator, stainless appliances, Sub-Zero Viking refrig, 6 burner gas stove with griddle, dual ovens, oversized range hood with heat lamps, dual dishwashers & breakfast nook. The spacious Master ste is one of a kind with fireplace & a balcony to enjoy the breathtaking views. The master bath is luxurious with a soaking tub, walk-in shower, dual vanities & gorgeous granite counters. Another of the many highlights is the resort-like grounds with large pool, relaxing area with fountain, built-in BBQ, kitchen with granite counters, lush landscaping with fruit trees & plenty room to entertain & relax. Beautiful, impressive & superbly maintained are the best words that describes this special residence! Must see!!" "SPECTACULAR SPANISH RETREAT - FEATURED IN DESIGN BOOK AND ROBB REPORT. At this custom estate, classic Spanish Revival architecture is combined with forward-thinking design to create an elegant, yet comfortable living experience. The home, designed by HGTV s Orlando Soria, contains the highest quality artisan materials and is prominently featured in his best-selling design book, Get in Together. Highlights include a chef's kitchen with 3 ovens, Wolf Range, Subzero refrigerator and 2 dishwashers; butlers pantry with generous storage and wine refrigerator; great room with 20 foot ceilings above an oversized wood burning fireplace; and a double spiral staircase leading to a tower with golf course views. The double pocket doors of the sun room open onto the large swimming pool and built in palapa island BBQ. The master retreat boasts a spacious walk-in closet, soaking tub, oversized shower and a balcony with spectacular views. This private gated property with nearly 2 acres of usable space also has an adorable tree-house with a zip line, mini sports court and greenhouse with electricity. Car collectors will appreciate the 1900 sq foot seven-car garage, RV parking, electric vehicle plug-in and a long extended private driveway. 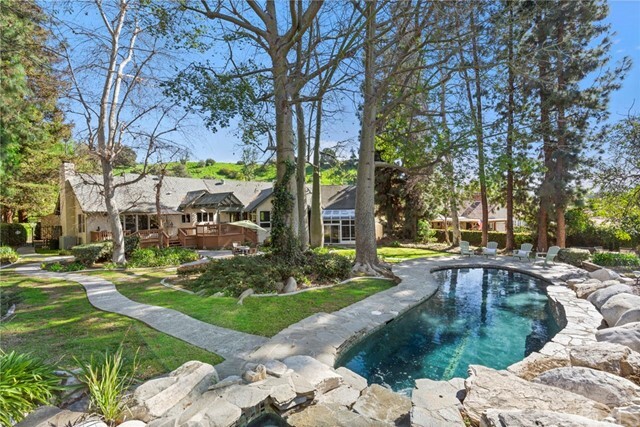 This is truly a one of kind property that captures the very best of California living." "Exquisite custom gated estate. Rarely up for sales. Circular driveways, outstanding curb appeal. Main house is 5 bedroom with huge master suite. Professional kitchen is gorgeous, granite, stainless steel, custom cabinets, breakfast nook, & 2 Sub-Zero refrigerator. Marble and wood floors throughout. Library/Music room is everyone s favorite. Three fireplaces. Beautiful setting, pool and spa and patio area surrounded by lush landscaping with 3 waterfalls. 4 car garage with full bathroom. Separate Guest home, and much more." 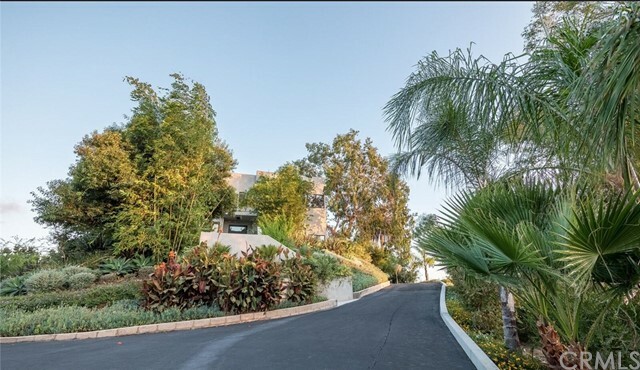 "- Absolutely Breathtaking Luxury Estate Home - This is a PRIVATE SANCTUARY situated in a beautiful hillside on a marginally FLAT LOT of La Habra Heights on nearly 1 acre of land. If you like privacy then this is the home and location that you have been waiting for. First time on the market in over 35+ years, and was rebuilt in 2007! The impressive indoor / outdoor living is perfect for the California lifestyle. Enjoy a glass of wine on the observation deck while looking at breathtaking views. Entertaining large parties or intimate gatherings is easy on the oversized patio and backyard. For the best in outdoor California living, the grounds of this home are like a vast canvas that will allow you to create your own paradise. The exterior doors leading into the back yard have their own motorized security walls that can seal outside entry with a flip of a switch. Once inside, it s easy to appreciate the open floor plan, volume ceilings, gorgeous tile & wood floors, formal dining area, kitchen stainless steel amminties, and spacious living room. This estate is unique with its 2 elegant, master suites located on the 1st and second floors, that provide walk-in closets, double vanities, and Jacuzzi tubs with separate showers. The front of the home is situated behind Dual gated entrances, with an enormous paved motor court with room for multiple cars. A very unique property that offers an enormous amount of ((potential)) and privacy." "Located at the address of incomparable Prestige and Elegance. This stunning French Chateau in La Habra Heights residence offers dignified style and graceful proportions, spacious rooms and breathtaking views that takes you all the way to Downtown LA, Long Beach Harbor, Pacific Ocean Catalina Island... From the long gated driveway, landscape, throughout the house and the outdoor decks, no detail were spared in the luxury and elegance. Designed to have a view from every corner of the home, it was the master's last work of art. 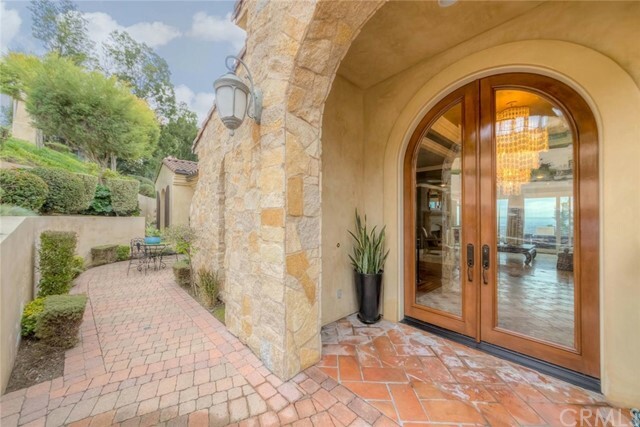 The entry has an unobstructed view from 2 large glass doors that open to the formal living room, leading the way to the rest of the home and forever view. The kitchen is a chefs dream with Viking appliances, 2 sub-zero refrigerator, the indoor and outdoor flow provides the perfect way to entertain in the So Cal lifestyle...Another full modern kitchen is downstairs with 5 suite-like rooms. A master suite fit for a king and queen, boasts a warm and romantic fireplace with access to the deck. The master bath gives you a feel of being at a 5-star resort spa. Adjacent to the master is an office/study. It was more expensive to build the home then the asking price. Over 2+ acres of land has blueprints for a gorgeous pool, with landscape. Seller is relocating. Furniture also for sale. A must see!" "WELCOME TO LA HABRA HEIGHTS!! RURAL TRANQUILITY LIVING AT IT'S BEST!! A HAVEN OF CANYONS VIEWS,CITY LIGHT VIEWS, AND MINUTES TO THE PRIVATE HACIENDA GOLF COUNTRY CLUB WITH 18 HOLES, HORSE TRAILS FOR THOSE OWNERS WHO INDULGE IN THE HORSE HOBBY... LOCATED JUST A SHORT 30 MINUTE DRIVE FROM DOWNTOWN LOS ANGELES, ORANGE COUNTY COASTLINES AND SAN GABRIEL VALLEY!! THIS INCREDIBLE SPRAWLING CONTEMPORY ESTATE FEATURES STUNNING SLEEK MODERN AMENITIES THROUGHTOUT, ELEGANT DUAL STAIRWAYS, FORMAL LIVING AND DINNING AREAS THAT INTERGRATE INDOOR & OUTDOOR ENTERTAINING, AWESOME GOURMET KITCHEN WITH HIGH-END STAINLESS STEAL APPLIANCES, ENJOY THE AMAZING SKYLINE VIEWS FROM THE OUTDOOR BALCONIES, POOL AND CABANA AREA, AMAZING MASTER SUITE WITH RETREAT, FIREPLACE, DRY SAUNA ROOM AND ENORMOUS WALK-IN CLOSET, EVERY BEDROOM HAS IT'S OWN FULL BATHROOM, WARM ELEGANT COMBINATION OF LIVING AND ENTERTAINING AT IT'S BEST, WITH EMPHASIS ON ENTERTAINING!! 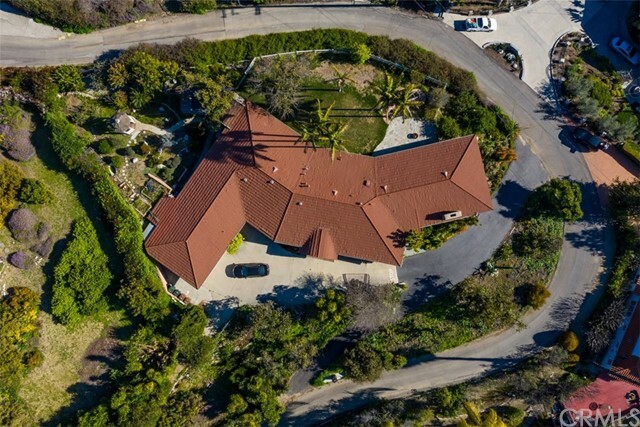 PRIVATE GUEST HOUSE, THIS GATED ESTATE WITH DUAL DRIVEWAY IS COMPLETE WITH 8 CAR GARAGE AND PLENTY OF GUEST PARKING ACCOMMODATIONS...OPPORTUNITY KNOCKS! DON'T LET THIS ONE PASS YOU BY!! FOR MORE INFORMATION OR FOR YOUR PRIVATE TOUR OF THIS OASIS IN THE HEIGHTS CALL THE LISTING AGENTS..."
"Newly Built! Welcome home to the Crown Jewel of La Habra Heights, Cielo Vista with staggering 360 degree Views from Every Room that Include Fireworks at Disney, Catalina Island, Saddleback Mountains, The Port of Long Beach, Palos Verdes Peninsula and Everything In-Between! Please see our Video Walk-through. The homes International Contemporary Architecture features Soaring Ceilings, Magnificent Large Windows Throughout that Deliver a Tremendously Spacious and Open Feeling. Each Massive Bedroom has Its Own Bath, Spacious Closet and Private Balcony with a View. Multiple Patios offer Numerous Areas to Entertain Friends and Take In The Views. The Kitchen and Adjoining Family Room Share Enormous Views of The Southland and are Steps Away from the Spool (Spa Pool). Luxurious Fine Finishes, European Appliances, Modern Wood/Stone and Elegant Fixtures Throughout. This Home is Set Comfortably Atop a Hill on a Parcel Measuring approx. 1.4 Acres. Delight in Ultimate Privacy all Set Behind an Electronically Gated Entrance with an approx. 200 Ft Driveway with Orange, Avocado and Fig Trees. 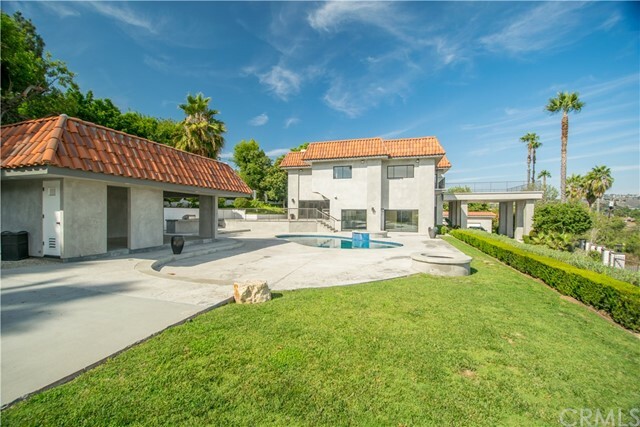 This Incredible Property is Centered between Los Angeles & Orange Counties offering a Quick Reverse Commute to Downtown Los Angeles, Minutes to The San Gabriel Valley and an Easy Jaunt to Newport Beach. Easy Hop to Freeways 57, 60, 91, 5 and 605. Large fully paid off Solar System adorn this jewel. A selection of Furniture may be included with the sale." "Breathtaking, Stunning, Magnificent, Gorgeous...With approximately 6,300 square feet of living space in this single story, flat acre property. This home was completely remodeled with no stone left un-turned in 2008. The home features a massive, custom kitchen with state-of-the-art, high-end appliances for any top-chef and an island so big, you won't believe it's a single piece of granite. The vast, vaulted ceilings are a prominent feature in the humongous living room with the natural stone fireplace. The bonus room is the ideal entertainer's area with space for a pool table, play room, extra comfortable seating for family movie nights, etc. The over-sized master bedroom boasts his and hers walk-in closets, large master bathroom with dual vanities, jacuzzi tub and a shower with a built in steam unit. The other ample sized guest bedrooms each come equipped with their own bathrooms. The spacious, 10-foot wide hallways give this home a grand feeling. 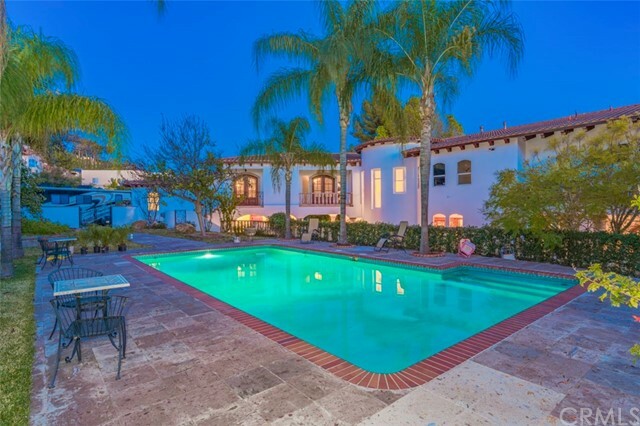 The Iconic front Spanish courtyard is the perfect setting for entertaining or sitting quietly to read a book. The newly refurbished fountain finishes off the tranquility perfectly. To top it off, the expansive 4-car garage sits on the back of the flat, fully-fenced, beautifully landscaped acre." "Welcome to a buyer s dream home and lot! This 3 bedroom, 2 bath single family residence sits on an approximately 281,904 square foot lot. Seller has architectural plans to show possible expansion of multiple lots, while you can live in the house as-is. With spectacular, unobstructed 360 degree views of the canyon and hills, you will always enjoy the sun rise or sunset in any room or window. This single story home boasts wood and tiled floors throughout; has large ceiling to floor windows in dining area and living room for natural lighting and an attached 2 car garage." "NEW REDUCED PRICE! Gorgeous modern home with breathtaking views on nearly 2 acres! This spacious home has it all! Long driveway leads to a secluded gated custom home in La Habra Heights with breathtaking view of the city lights and distant ocean. This gorgeous home boasts 5 bedrooms, 7 bathrooms, 3-car garage, and is 6,448 square feet. The bright, open, double door entry leads to a large family room with french doors that opens to a huge grassy side yard. There is a kitchen, master suite, utility room, and workshop on the 1st floor. It's like having two homes in one. A beautiful wood staircase leads to the 2nd Floor with chandelier. The foyer leads to a spacious living room and formal dining room. The upstairs kitchen is bright and opens to a large family room with a full size wet bar. The upper level patio has a spectacular view. The master bedroom has a separate balcony with a view and connects to the study/den. The master bath has a separate shower and bathtub. Each of the three bedroom suites have private bathrooms and walk-in closets. The long trail in the back of the property leads to a secluded sitting area covered with matured trees. The backyard has room for a potential tennis court." "Private and expansive, this custom home was built with timeless elegance in 2009. From the gated entrance and sweeping drive, the home features interesting architecture executed in the finest materials with expert craftsmanship. Clean, uncluttered lines highlight the spacious living and dining areas with dramatic windows and soaring ceilings. The kitchen is a chef's joy with 2 granite islands, a 6 burner Viking stove and top of the line accessory appliances. Custom maple cabinets with a cherry finish are consistent throughout the house. The gracious master offers space and elegance with morning and evening views. Additional bedrooms feature a second master plus 2 secondary rooms looking over the lush Heights landscape and golf course. The home also features a separate guest house with a loft bedroom, kitchenette, 2 bathrooms, and comfortable living space... perfect for a long or short term stay. There are 2 zoned FAU/AC units and 3-car garage with loads of storage and even a mud room for convenience. With just under an acre of land, there is plenty of flat land for a new pool or fabulous outdoor entertaining space." 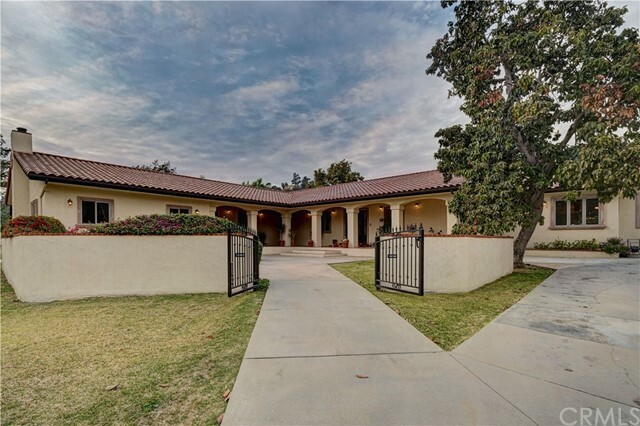 "A beautiful estate in a quite neighborhood of La Habra Heights. With beautiful views of hills and city lights. This house was built for entertaining. It has two master bedrooms on the 3rd story with an additional room, and on the second level there is another bedroom. Each bedroom has its own bathroom. It sits on an acre with tennis court and a pool with an amazing view. The home has an elevator. This house is a tri level home with upper and lower driveway access. Must come and see." "A spectacular La Habra Heights view home! Gated entry will extend driveway. Enter the impressive marble foyer with a grand spiral staircase, cathedral ceilings and gorgeous chandelier. This 4,772 sq. ft. home has 5 bedrooms, an office and 6 bathrooms. The main level includes dining room, living room, family room, laundry room, kitchen is complete with granite counters, stainless steel appliances, gorgeous cherry cabinets, a large center island and a breakfast nook area. Also, a bedroom and a full bathroom and an office that could be covered to a sixth bedroom. Upstairs, a family/media room with a full bar is perfect for entertaining. A master suite with a balcony, large bath and walk-in closet, three generous sized bedrooms with en-suite baths and walk in closets. Seeing is believing, this this home has an amazing location, lot, floor plan,amazing views and on sewer!" 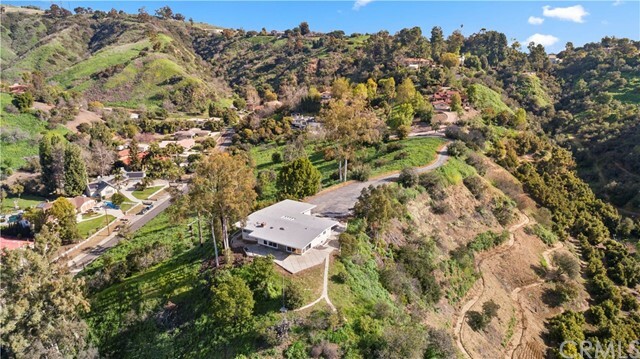 "This absolutely luxurious 4 bedroom 4 bath La Habra Heights estate boasts breathtaking panoramic views of the city lights and rolling hillsides that sits on over an acre of land. Completely remodeled in 2013. This stunning home welcomes you with a grand staircase and a spacious dining room that features hardwood floors and a custom fireplace. The huge gourmet kitchen features travertine floors, quartz counter tops, large walk-in pantry, huge island that also provides you with extra storage, a 6-burner Wolf range, built-in Subzero refrigerator, built-in stainless steel microwave and dishwasher. The second staircase leads you to a massive entertainment room with an expansive bar complete with a sink and wine refrigerator. For extra comfort, there are 2 separate Nest Central A/C & heat units upstairs and downstairs. The Master, located downstairs, features a double door entry, large en suite with a huge bathtub and shower, and his and hers sinks. Connected to the master en suite, is a massive walk-in closet with plenty of custom shelving and a built-in dresser. Conveniently, the downstairs bathroom has access to the backyard. The remaining 3 bedrooms and 2 bathrooms are located on the second floor; one is a Jack and Jill; All with high-end finishes. The private backyard has a built in BBQ that is perfect for entertaining. The massive driveway leads to the attached oversized 4-car tandem garage which has new epoxy flooring. So many amazing features! Definitely a MUST SEE!!!" "MUST SEE! Mediterranean House + Detached Guest House + Sauna room + Custom made tinted windows + No HOA fees + Gorgeous City Views + Horse stable for 2 + Jr. Tennis Court + Pool + 1 Arce of Land + Cul-de-sac Private Street. From the moment you enter the private gated driveway, this gorgeous custom made property is nothing short of indoor/outdoor oasis. Beautiful panoramic view from almost every room sets this home of 4,229 sf, 4 bedrooms, 5 bathrooms in total and 3 car garage. Enjoy the privacy of your own one acre recreational park, fruit garden with plenty of room to grow your own vegetables, pool, and junior tennis court. Luxurious master suite, features cathedral ceilings with Jacuzzi tab and sauna with view of the pool and evening city lights. Spacious family room, cathedral ceilings with exposed wood beams, massive wood burning fireplace with conversation pit next to the wet bar. Formal dramatic dining room for large family to enjoy parties and holidays. Right by the grandiose main entrance you will find a beautiful private oval office space for a small business owner. Hardwood floors throughout the house, with custom made European herringbone parquet in the living area, all bathrooms custom remodeled with granite, main kitchen and family room overlooking a grandiose patio perfect for outdoor parties and viewing of beautiful evening sunsets, fireworks from Disneyland, even the ocean and Catalina Island on clear days." "Custom home with spectacular city and canyon view!!! This 4 bedrooms and 3 bathroom house has lots of upgrades, copper plumbing, electrical rewiring, two tank less water heaters, double pane windows and a water purification system. Gallery kitchen features viking stainless steal appliances and granite counter tops with an oversize island. Huge entertaining room is a perfection of enjoying of life. Almost an ace lots has about 25 avocado trees and lots of other fruit trees, all together altogether over 70 fruit bearing plants. You will enjoy the picture perfect sunset view form this Japanese style garden! Seller is a real estate broker." "New lower price!!! City lights and view of Mt. Baldy! What an outstanding location! Close to award winning schools. Updated entertainer s pool home on one of the most desirable cul-de-sac streets in La Habra Heights. 5 bedrooms plus quest quarters with separate entrance. Personal in home Gym. Rare to find so much usable land with such an amazing view. Over 900 sqft. of covered patio. Gourmet kitchen: Duel dishwashers, 3 ovens to accommodate large dinner parties 2 electric convection ovens and one gas. A 5-burner gas cooktop with an instant hot water pot filler and wok assembly. Built-in large capacity refrigerator. Custom Maple Cabinetry. Spacious laundry room. 3 fireplaces. Freshly painted interior and new carpeting upstairs. Upgraded LED Canisters with 5000-6,000k. A/c - 2 units, 8 zones, 4 ton system 21 sear rating. In 2014, 3.5 ton mini split - 26 sear still under warranty. Lower level has mahogany and maple French doors and windows. Over-sized garage with built-in storage. Lush landscaping with auto sprinklers. Avocado, plum, orange, lemon, fig and peach trees. Minutes from Hsi Lai Temple and overlooks the site of the Yuan Yung Temple." "Beautiful home with ultimate privacy located in the prestigious City of La Habra Heights on a nearly one acre lot. Your next forever home with an expansive view that includes the coastline to Catalina Island on a clear day, city lights, and the nightly Disneyland fireworks! Walking down the impressive brick entry way, you are greeted with double doors. The main level features a formal living room and a spacious family room with fireplaces, a formal dining area with high ceilings, Shonbek chandeliers, Milgard doors and lots of natural light. Bright kitchen has built-in appliances, granite counter, custom cabinetry, pantry, and recessed lighting and Milgard doors. Office with solid oak custom shelves. The master bedroom has a gorgeous view, a fireplace, and an en suite bathroom with dual sinks, vanity, tub, and a separate shower. Three additional bedrooms with views. Other amenities include 2 central air conditioning, forced air heating, recessed light fixtures, freshly painted interior, covered patio is perfect for entertaining, a laundry room inside, abundance of cabinetry, Spanish tile roof, double pane window, built-in BBQ, beautiful landscaping, Entrance Iron gate operated by remote for security and more. A good size swimming pool with a breathtaking view of regulation sized tennis court down the steps! 3 car attached garage with direct access, RV parking space, and amore open parking space." "See Catalina Island from your spacious master bedroom suite! Completely remodeled in 2017. Large master with custom walk in closet, master bath has granite counter tops with dual lavatories. Separate room off of master bathroom has Jacuzzi tub and Steam or Dry Sauna. The Jacuzzi room opens out to the enormous deck which is perfect for entertaining! The views are stupendous. View from just about every room in the house. Main living space on upper floor, lower floor is perfect in-laws quarters with it's own entrance and kitchenette. Spanish Monterrey style La Habra Heights home. Parking is not a problem as you have two separate driveways with parking for over 7 cars! New copper plumbing, new electrical, new flooring, new heating and air units, the list goes on. New septic system installed in 2005 with 3 sespools. The homeowner is a contractor and has done a beautiful job. The attention to details is evident throughout the home. This is definitely a must see! Catalina views, Ocean views, City Lights views, mountain views, hillside views. Home situated on approx 7/8 acre with a large part of that being flat usable land with room to build. Buyer to verify. Over sized pool for your enjoyment. Extensive decks for family get togethers' with views. Horse property. Water, gas and electrical hook ups for future pool cabana or guest quarters. Buyer to verify." "Welcome to Paradise! With this backyard, you will never need to leave for vacation. This spectacular home boasts spacious interiors magnified by high ceilings, hardwood floors, and floor-to-ceiling windows that let in abundant natural light. This one of a kind property is a rare offering containing over 3500 square feet including 4 bedrooms, 3 bathrooms, 2 fireplaces, formal living and family room. The kitchen is upgraded with, granite counter tops, built-in cabinetry, a large center island with seating and overlooks the park-like setting in the backyard. Wet bar in family room and leaded glass cabinet doors, large laundry room with extra storage. The master suite consists of an enormous sliding door closet, master bath with soaking tub, dual vanities, a retreat, and access to your own private sauna and a large sun room that offers views of your stunning backyard. The absolutely spectacular backyard is a truly park-style setting with abundant patio space, fruit trees, and impressive circular pool with a waterfall. The front yard has plenty of parking, a 3 car garage and an area large enough for a boat or an RV. This home This home is located in the heart of the Heights and is truly a must see!" "Welcome to this completely renovated home in the highly desired La Habra Heights. This 5 bedroom 5 bathroom home has 3,620 sq. ft of living space with a flat lot of 43,442 sq. ft. This includes an in-law suite with private entrance and bathroom. Open kitchen boasts quartz countertops, large subway tile backsplash, upgraded cabinetry, walk-in pantry and new appliances. This home features a formal living room, family room and dining room. Interior includes fresh paint, moldings, hardwood floors, tile, recessed lighting and new windows throughout the home. The Master Suite is suited for a king and queen complete with the en-suite and walk-in closets. Each bedroom is spacious and includes plenty of closet space. All bathrooms have new stylish vanities and new tile in shower and tub. Backyard features a pool great for entertaining family and friends and a rebuilt playhouse for the kids. Don t miss this opportunity to own this beautiful home!"